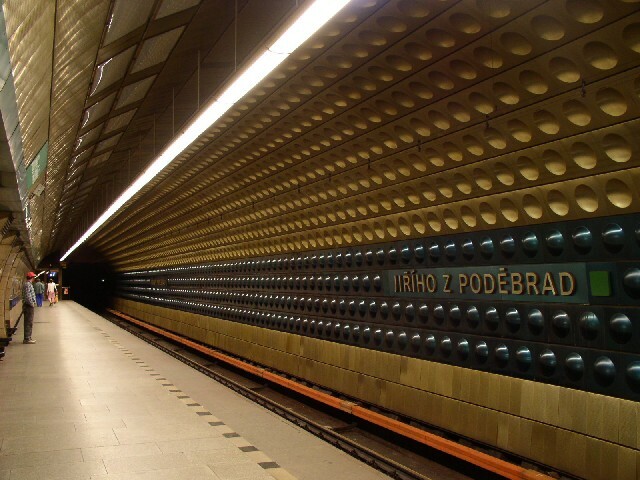 The station is situated beneath a large square which is named after a Bohemian king Jiří z Poděbrad (1458-1471). It is located in Vinohradya - a pleasant town district consisting mostly of apartement blocks from the 19th and the beginning of the 20th century. 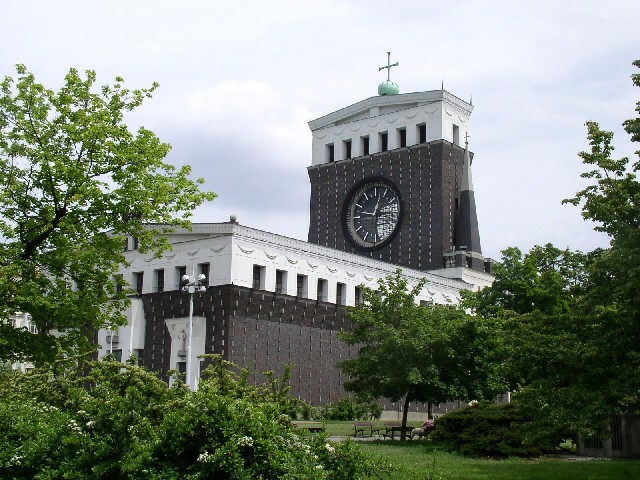 It is already part of the wider centre of Prague. There is also a tram line going through this square, so metro-tram change is possible at this station. 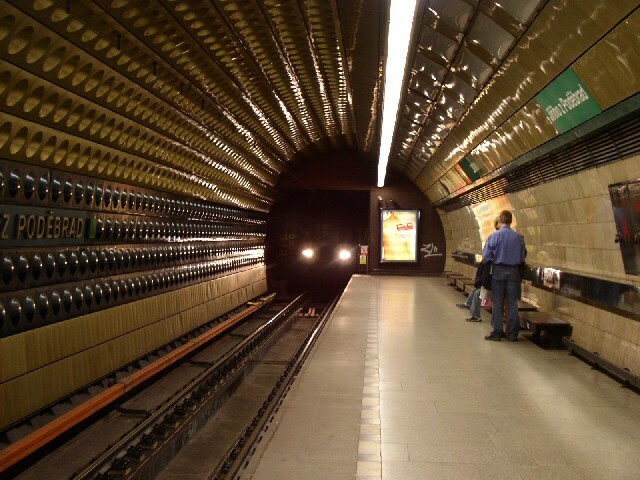 The station itself is of a quite common type of driven stations on lines A and B. Church of the Sacred Heart standing in the middle of the square. 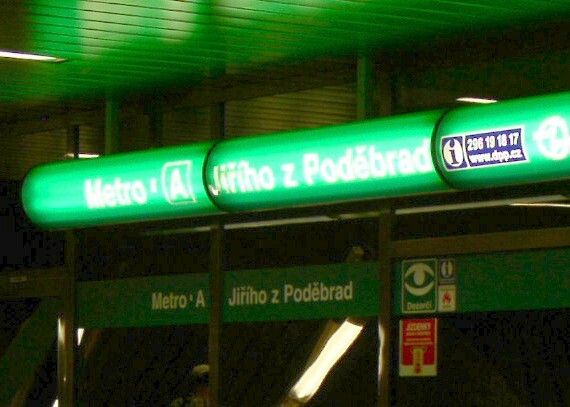 A station entrance on the Jiřího z Poděbrad square. On the left you can see the tram line. 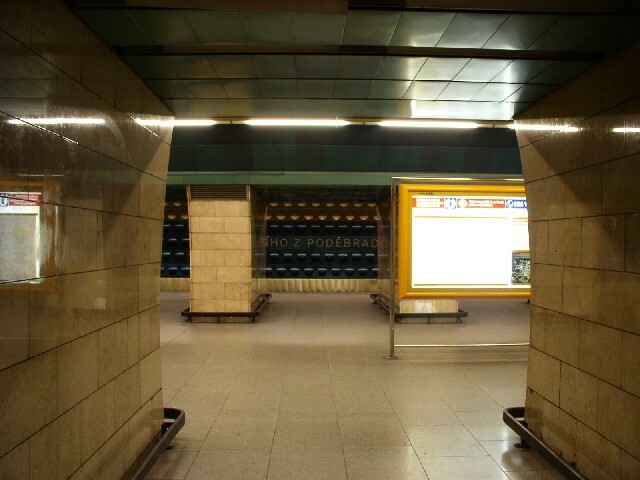 The vestibule of the station. 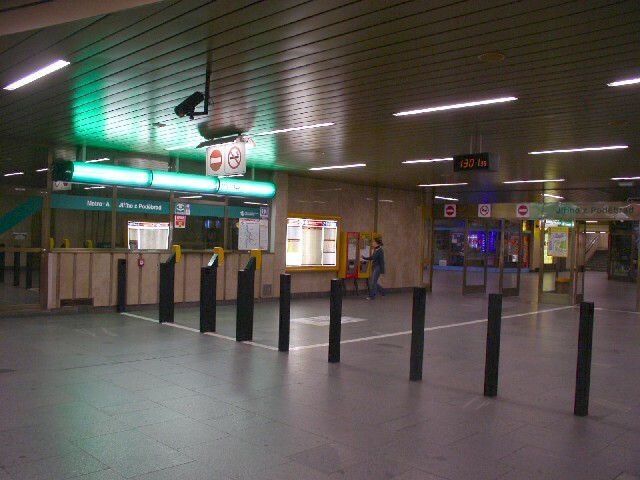 The ticket hall is on the left, behind the glass doors. 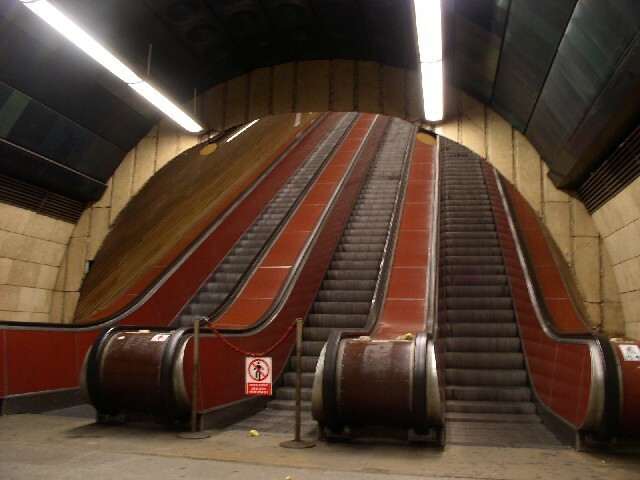 You cas see there the escalator shaft, too. 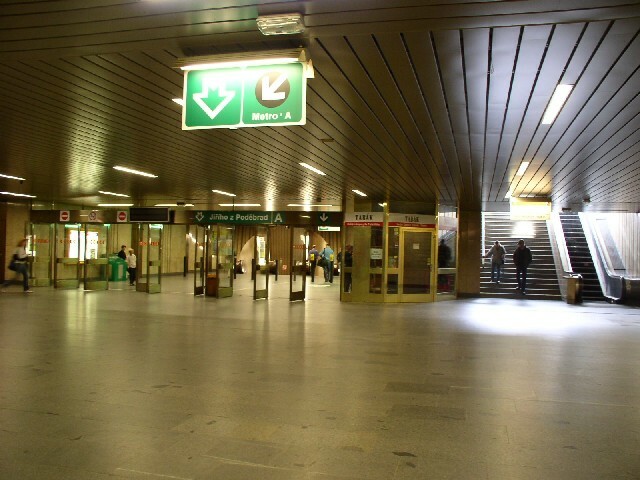 And the ticket hall itself. Note the green cylinder above the station inspector post. This is the green cylinder from the previous photo. These are placed in all new or refurbished stations and probably become a common part of the station signage in time. 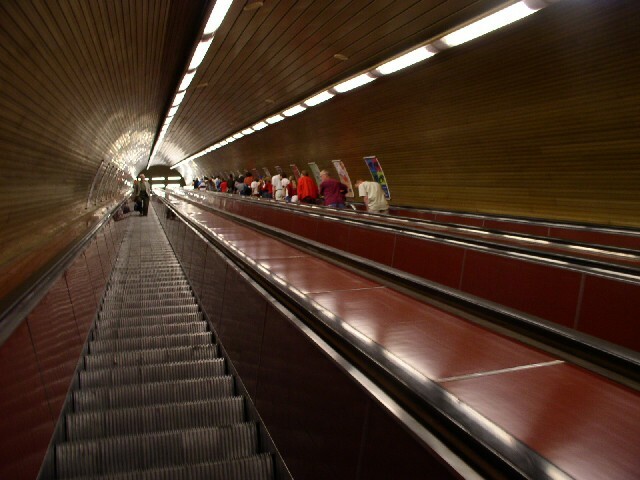 A similar green tube is also a in several stations above the platform (e.g. Kobylisy). 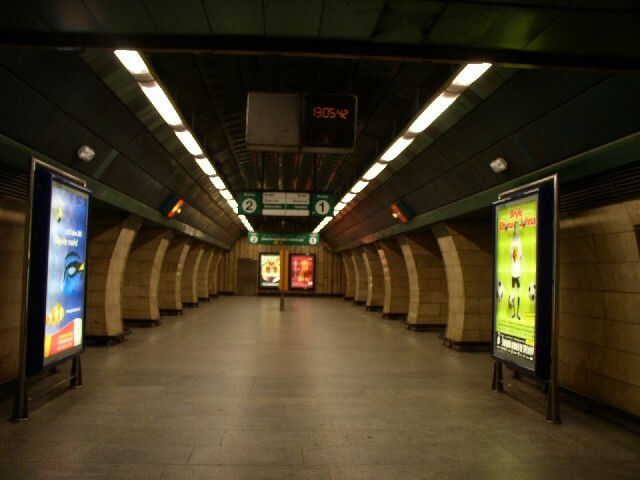 A view from the eastbound platform through the central aisle to the westbound platform. The westbound train arriving to the station.